There’s no way around it. From page 1 to about 200, Feyre is anannoying, blindingly stupid and obstinate main character. I nearly put this book down half a dozen times. BUT, midway through the book, things turned around magnificently. And I cannot wait to read the sequel. Feyre is hunting in the middle of the woods to keep her useless starving family alive (Hunger Games, anyone?). A chance encounter with a wolf – who wasn’t entirely a wolf – leaves Feyre on the wrong end of an ancient treaty. She is forced to go to the fairy realm to live out the remaining years of her human life – no friends, no family and no freedom. At first, she cannot think of anything but escape. Slowly (but surely), she is swept into the fairy realm – in its magic & intrigue, in its danger & hopelessness, and in its wonder & glory. Feyre lands in the Spring court – which is under a masquerade curse for nearly fifty years. The court is being attacked by all manner of terrible creatures and there is a blight upon the land . This blight will soon cross to the human realm – threatening everyone Feyre holds dear. This was interesting but not compelling. Until that 50% mark.Suddenly, all the plot holes, nonsensical actions of her fairy captors (Tamlin and Lucien) and Feyre’s complete idiocy flipped on their heads. Everything makes sense now. (Okay, Feyre’s still a bit of an idiot, but at least not glaringly so). I literally could not put this down. Though, and maybe it’s just me, but the Tamlin-Feyre arc felt a bit rushed/forced. Her constant love declarations really had me questioning their relationship. But then again, I had a friend who accidentally spilled the beans on that one. 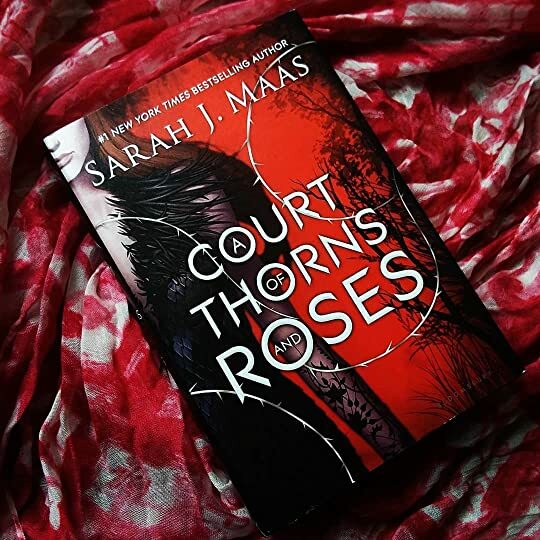 Overall, I am amazed by how much effort Sarah J. Maas put into constructing this story. I’m this close || to rereading the book solely to better appreciate all those little clues that I must have passed over. So, if you pick this up and just aren’t feeling it – keep reading – trust me.